Platform Bed vs Box Spring: A 2019 Guide - What's the Difference? 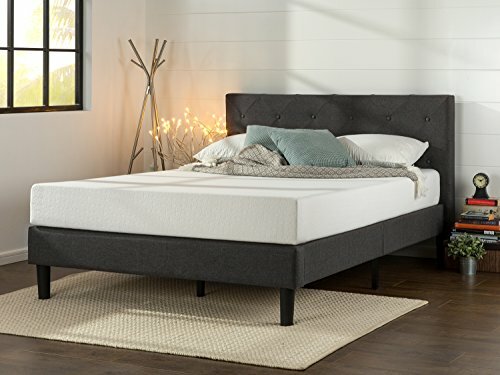 Home » Mattress » Platform Bed vs Box Spring 2019 – What’s the Difference and Which One is For me? 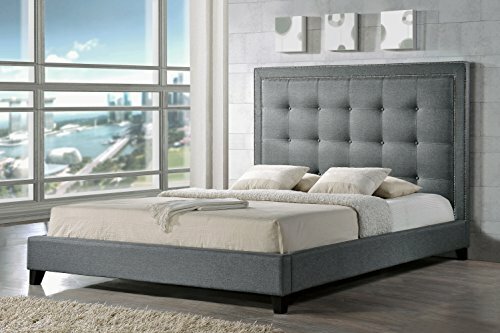 Platform Bed vs Box Spring 2019 – What’s the Difference and Which One is For me? Are you trying to decide between a platform bed and box spring? Unclear on the specific differences between them? If so, you’ve come to the right place. The Life Home Premiere Classics Platform Bed is an affordable option. Light grey in color, this bed provides a sturdy foundation for your mattress and should match any décor. The included wooden slats provide support for your mattress without the use of a box spring. Some users reported unclear assembly instructions, but the setup should still be simple enough. The Life Home Premiere Classics Platform Bed comes with a five-year warranty. What is a Box Spring? Our top platform bed choice is the Life Home Premiere Classics Platform Bed, which has a luxurious upholstered design. Our favorite box spring is the Best Price 7.5″ New Steel Box Spring as it’s supportive and ready to use right out of the box. The norm used to be that you would buy a coil mattress and it would come with a box spring. 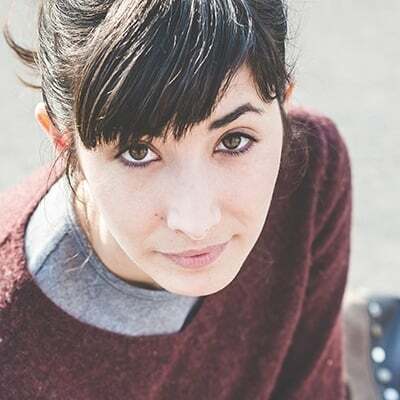 You’d stack the mattress on top of the box spring and you were ready to sleep on it. These days, setting up your bed is a little more complicated. Not only do you have access to different types of mattresses, such as memory foam, latex, or hybrid beds, but a box spring isn’t always necessary anymore. Instead, your bed might require a platform bed or no extra supports at all. With some products, you can use both a platform bed and a box spring, although each support type can also be used alone. In some cases, using the correct support system for your mattress is required in order for the warranty to remain valid. Before we get into the key differences between platform beds and box springs, we’ll cover our top picks for each. Platform beds are usually on or low to the ground and create a nice, minimalistic space in your bedroom. While most designs have some additional room for storage underneath, some don’t. The Baxton Studio Hirst Platform Bed has a simple design, gray linen upholstery, and a button-tufted headboard. The headboard and footboard have foam padding, creating a luxurious and sophisticated product. This platform bed comes with slats but doesn’t require a box spring. The frame is made from fiberboard and hardwood. Assembly is quick and simple. For warranty information, contact the seller on Amazon. The Life Home Premiere Classics Platform Bed is similar in appearance to the Baxton Studio Hirst Platform bed previously mentioned, with a more affordable price. Light grey in color, this bed provides a sturdy foundation for your mattress and should match any décor. The wooden slats included provide support for your mattress without the use of a box spring. Some users reported unclear assembly instructions, but the setup should still be simple enough. The Life Home Premiere Classics Platform Bed comes with a five-year warranty. The Zinus Shalini Upholstered Diamond Stitched Platform Bed is our top pick for people who want a quiet bed that doesn’t squeak or rattle. It has a classic design with strong supportive wooden slats. The parts for assembling the bed are included and the process is fairly simple and straightforward. 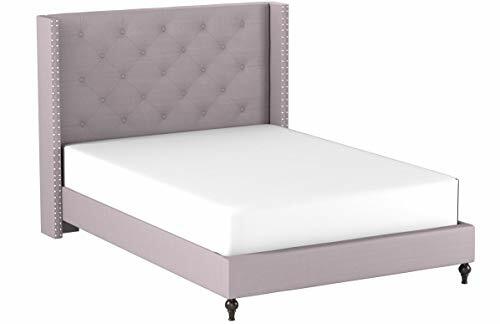 The Zinus Shalini Upholstered Diamond Stitched Platform bed has a steel frame with foam padded tape added for noise-free use. It works with all mattress types, including latex, hybrid beds, and memory foam. No box spring is required and the bed comes with a five-year limited warranty. The Zinus Armita 9 Inch High Profile Smart Box Spring is a lightweight pick that supports and elevates your mattress. It’s durable, simple and quick to put together, and comes in a compact package with all the tools needed for assembly. Note that some users reported that the Zinus Armita 9 Inch High Profile Smart Box Spring makes some squeaking noises when you move around in bed. This box spring is covered by a five-year warranty that covers manufacturing defects. 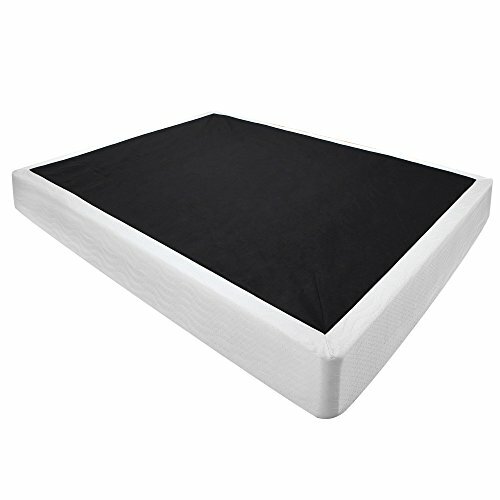 The Classic Brands Instant Foundation High Profile 8-Inch Box Spring is a good pick for people who want a bed that doesn’t make a lot of noise. It’s easy to assemble, has an affordable price, and supports heavy mattress types, such as latex and memory foam, to prevent sagging. Handcrafted in the USA, the Classic Brands Instant Foundation High Profile 8-Inch Box Spring is easy to assemble and comes with a three-year warranty. If you’re looking for a box spring that you don’t have to assemble, the Best Price 7.5” New Steel Box Spring could be a good choice. The foundation has a bi-fold design that’s ready to use right out of the box. It has a sturdy steel construction with a non-skid fabric covering that keeps your mattress in place. The Best Price 7.5” New Steel Box Spring comes with a five-year warranty to protect your purchase. Platform beds come in a variety of different styles and usually work with wooden slats that support your bed to prevent sagging. Given the space between the slats, platform beds encourage airflow and stop heat from building up in your mattress. Unlike other bed foundations, platform beds usually don’t require an additional piece, like a box spring, to function. They usually have some storage space underneath, making them a popular choice for people with limited room in their apartment or house. If you live in an expensive city, like New York or Chicago, you might be living in a small apartment, which means every extra inch of storage space is valuable. Most platform beds have at least a few inches of extra space underneath to store items and some come with shelves or drawers. Keep in mind that a box spring won’t leave any room for under-the-bed storage unless you use it with an additional high-profile foundation. Since a platform bed comes with slats, it will encourage air to flow through and around your mattress, cooling it down. If you struggle with sleeping hot, this can be a very valuable feature for maintaining a comfortable sleep temperature. Also, this airflow can prevent moisture from building up in your mattress, which can cause it to degrade faster. A nice-looking bed can pull together the rest of the décor in your bedroom. Platform beds definitely increase the aesthetic value of your room, as they have a sleek, modern look and typically come with a head and/or footboard. You can find platform beds with an attractive leather design or button-tufted upholstery to complete the design in your bedroom. Box springs were once the norm when innerspring mattresses were still the most common bed type. They’re usually made with a metal or sturdy wooden frame and make your mattress feel firmer. Some of them use a network of coils to add some bounce to the bed. A box spring should be used with your mattress and never on its own and can be a good option for people who have a mattress that’s a bit too soft. A box spring is the best choice if you’re looking to add support to your existing mattress. They help evenly distribute your weight across your mattress, which can prevent it from prematurely sagging. You can use a box spring directly on the floor or add it to a foundation for additional height. Since most box springs are filled with coils, they take some of the tension off your mattress and help absorb your body weight. Having this extra flexibility can mean that your mattress doesn’t wear out as quickly. And since new beds are never cheap, this can save you money in the long run. If you’re the type who prefers a minimalist, no-nonsense design, you’ll probably want to consider using your mattress with a box spring instead of a platform bed. A box spring simply adds height to your mattress, making it easier to get into and out of bed, without extra frills, like head or footboards. There are advantages and disadvantages to choosing a box spring or platform bed. While platform beds are typically fancier in terms of aesthetics, a box spring will usually be easier to set up. If you need some extra storage space, a platform bed is the best choice. If your main concern is some additional support for your mattress, a box spring should be enough. Our favorite platform bed is the Life Home Premiere Classics Platform Bed, which has an attractive upholstered look and an affordable price. 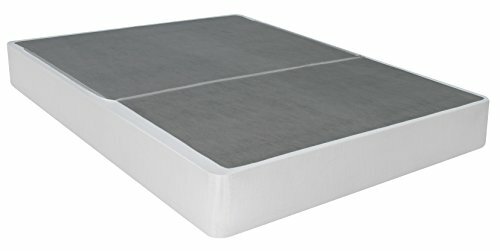 Our top box spring pick is the Best Price 7.5″ New Steel Box Spring as it has a budget price and requires no assembly. Puffy Mattress Review 2019: Could This Cool, Supportive Memory Foam Bed be Your Next New Mattress? Bed Sizes Guide 2019: Which Mattress Size is Best For You?